19th Century French Missal, Paroissien Romain Contenant Les Offices des Dimanches et des Principales Fêtes de l’Année en Latin et en Français augmente de la Messe de Communion. 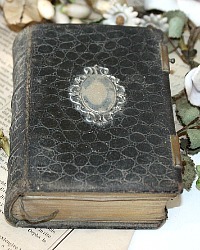 It was published by Dalpayrat et Depelley, in Limoges, France in 1888. 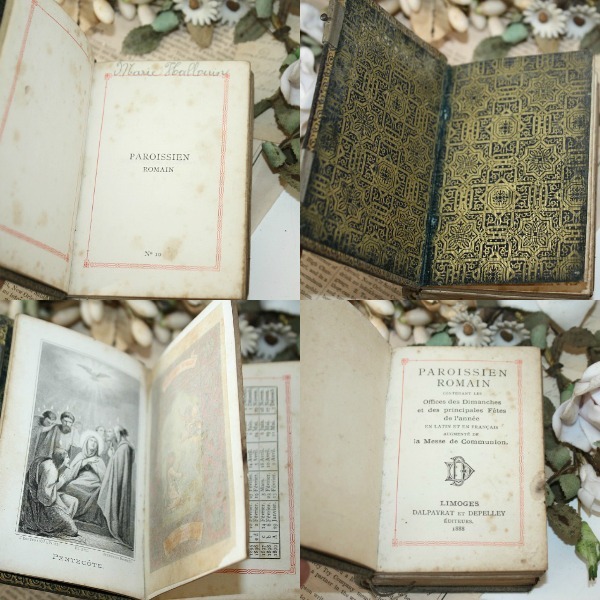 This collectible Catholic Prayer Book has 439 pages, it includes Prayers, Psalms and Hymns. There is one red & gilt illustration in the beginning of the missal book of Jesus and an angel, it has the original tissue guard. 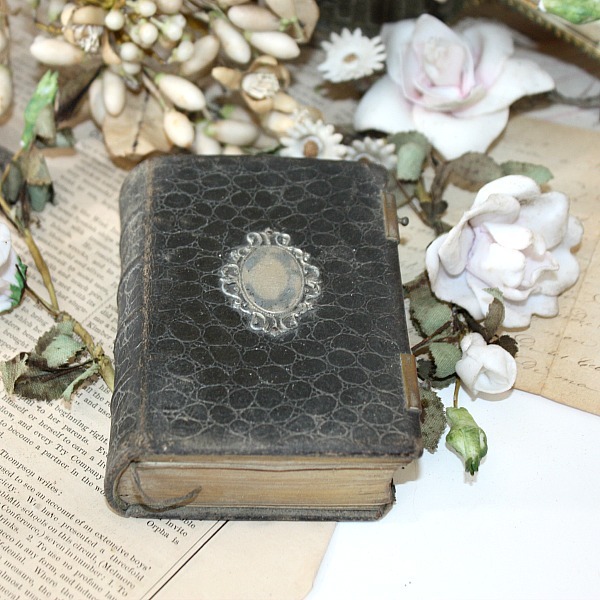 Pages are edged in gilt, there is aging as shown, but not overly so, this is very readable and considered in good antique condition. This is a sweet addition to your collection of religious antiques, or the beginning of one. Display this with a few of your antique rosaries. 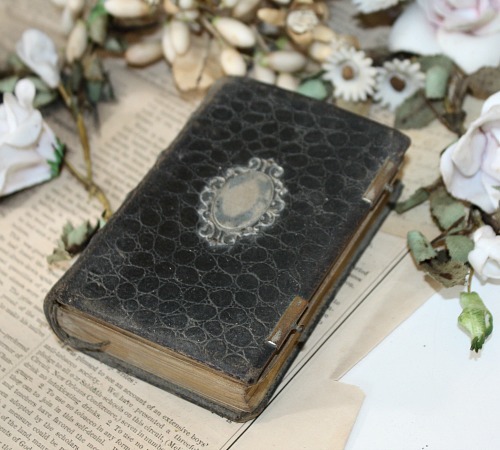 I love that this has been used, it has plenty of patina and wear to the embossed "crocodille" leather cover and silver cartouche on the front, so please only purchase this if you love antiques with the grace of time. This has obviously been used by a devout believer, it's what makes this most charming! Measures 4~1/4" x 3".